In 1908 Bob Stewart and Edwin Scrymgeour were elected to the Dundee Town Council as members of the Scottish Prohibition Party. Later that year Winston Churchill stood at a by-election in Dundee. Scrymgeour stood as a representative of the Scottish Prohibition Party. At one meeting he said: "I feel deeply grateful to the Almighty God that has enabled the Prohibition Party to put me forward as the first British Prohibition candidate and look forward to another day when success will attend our efforts." Despite the best efforts of Bob Stewart, who worked as his agent, Edwin Scrymgeour won only 655 votes. Stewart admitted "Scrymgeour and I had many differences in the election campaign. He dwelt too much on religion. He had a great advantage over all the other candidates because he had a mandate from God." Bob Stewart left the Scottish Prohibition Party in 1909 because he "could no longer stomach the religious prattlings of Scrymgeour and some of his adherents." Stewart and some of his left-wing friends now formed the Prohibition and Reform Party. Apart from the aim of achieving the complete National Prohibition its aims included: "The abolition of private ownership of the land and the means of manufacture, production and exchange, and the substitution of public of social ownership without compensation." In April 1920, a group of revolutionary socialists attended a meeting at the Cannon Street Hotel. 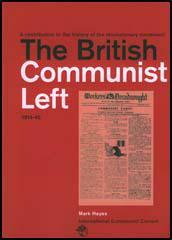 The men and women were members of various political groups including the British Socialist Party (BSP), the Socialist Labour Party (SLP) and the Workers' Socialist Federation (WSF). Bob Stewart also attended as a delegate of the Prohibition and Reform Party (PRP). 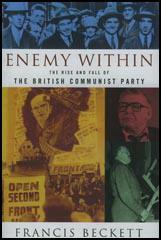 Francis Beckett, in his book, Enemy Within (1995) described Bob Stewart at the conference. "After the main resolution was carried, the stout, sincere man with a sober moustache walked solemnly to the platform to ask the new Party to come out in favour of suppressing the manufacture of alcoholic drinks. Few thought much of the idea, but they liked Bob Stewart, so they referred it to the executive for action."